﻿La Paz, capital city of the state of Baja California Sur and our home port, is known for its world class fishing, beautiful sunsets, white sand beaches and peaceful lifestyle. 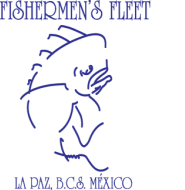 With a vast variety of fine hotels, restaurants, golf courses, and diving and fishing options La Paz is the perfect choice for sportsmen traveling alone or with their families. NEW: 10% off groups of 6 or more! * Custom packages available from a single day of fishing to multi-week trips. Other activities such as Diving, Snorkeling, Whale Watching, Beach Excursions, etc can also be arranged for those looking to take a break from fishing.Please contact us for more info! Lodging: Choice of FF B&B or several local hotels/resorts.